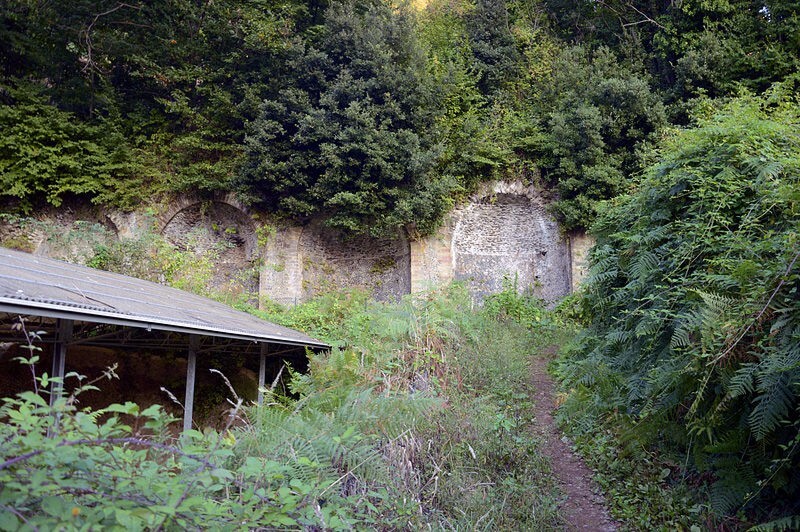 This Roman sanctuary and the Sacred Wood are located on the northern shore of Lake Nemi, just few kilometres outside Rome. The temple of Diana Nemorensis was preceded by the sacred grove. Diana of the Wood or Diana Nemorensis was a Roman goddess. Later was hellenised and conflated with Artemis. 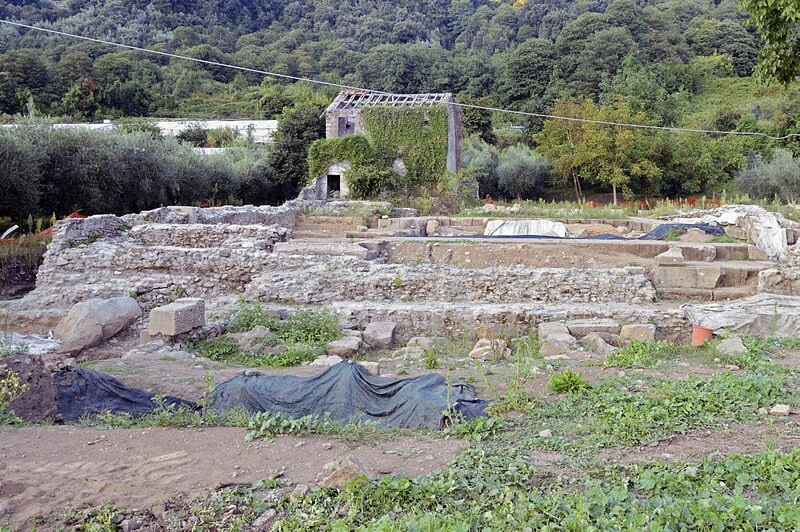 The temple of Diana Aricina or Nemorense was a huge complex located in Nemi. It covers an area of 45,000 square meters, supported by triangular substructures and by semicircular niches with statues and an upper terrace. The platform is composed by two Doric porticoes, one with columns plastered in red, the other with columns of dark gray lava stone; there were statues, rooms for priests, accommodation for pilgrims, cells, a temple, baths and even a theater. 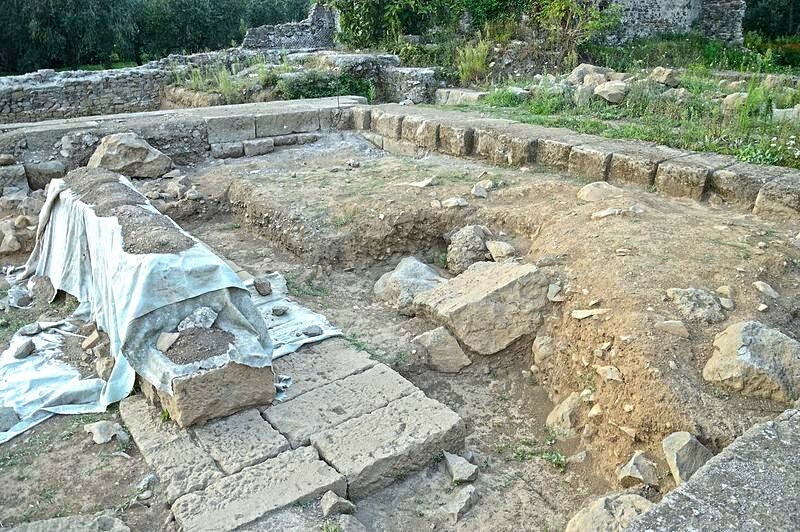 Today, a part of a portico, one votive altar and some columns are still visible. The rest of temple, that spreads over an area of over 5000 square meters, is still waiting to be excavated. 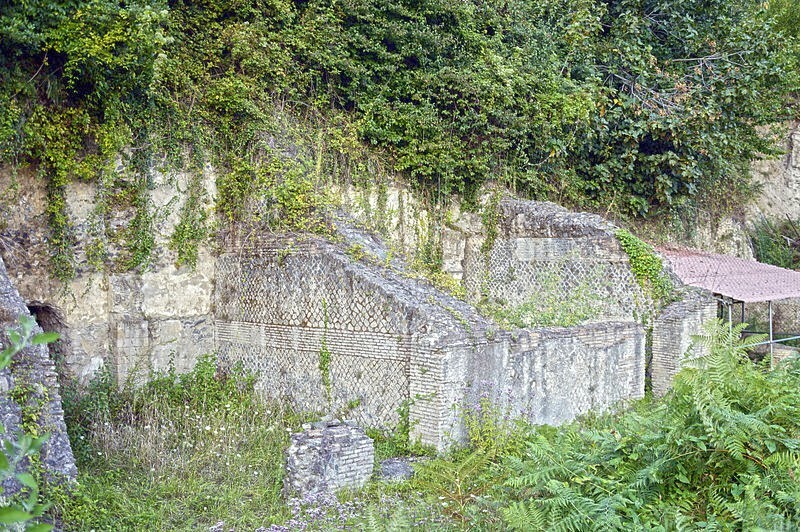 The higher parts, such as niches, that emerge from the ground for several meters show the size of the original temple. The temple was abandoned with the advent of Christianity and partly robbed of marbles and decorations; the forest gradually covered it almost completely and it was forgotten for centuries. Archaeological excavations began in the seventeenth century by mostly amateurs and foreign scholars, and for this reason statues and relics are scattered in many different museums. Diana of the Wood or Diana Nemorensis was a Roman goddess. Later was hellenised and conflated with Artemis.